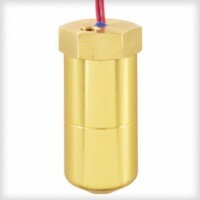 A bottle level switch is ideal for large or small tanks or where access to the inside is impractical or impossible. These units mount completely outside the tank, at the level actuation point. LS-159000 Series – Low Cost, Compact Aluminum Housing with inline NPT Ports.